5832 registered members can't be wrong. With the arrival of ICM’s much anticipated kit, I thought it only fair to revisit Monograms version from the ’90s. 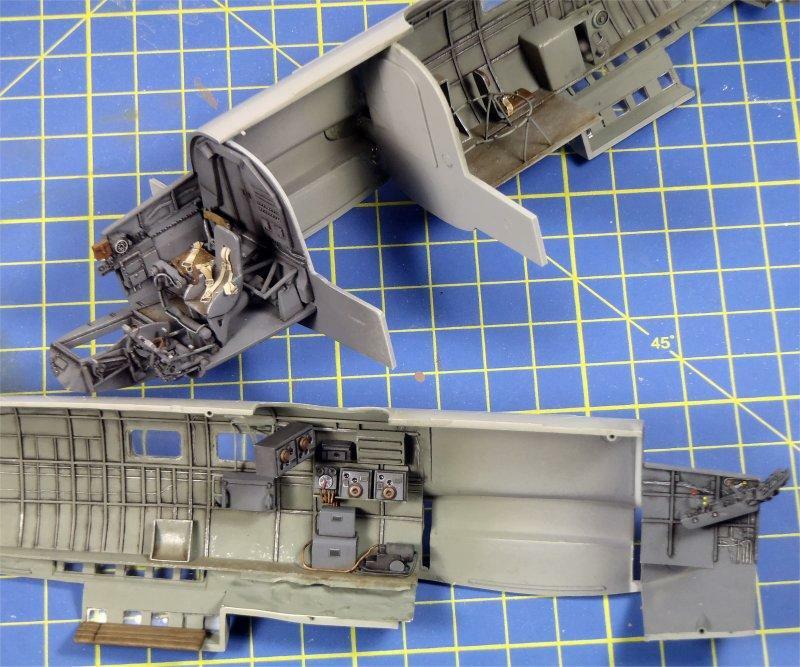 With a scratchbuilt interior (most of which can’t be seen) some detailing on the gear, engines and an open canopy, the old Monogram kit builds up very respectably. Paints are Tamiya acrylic, and the decals are Xtradecal. 13 additional images. Click to enlarge. I did one of these “back in the day” and I still have another one in the box. Didin’t build mine with as much detail as you’ve done, though. Nice work. Wow Colin, I’m glad you revisited this classic beauty. 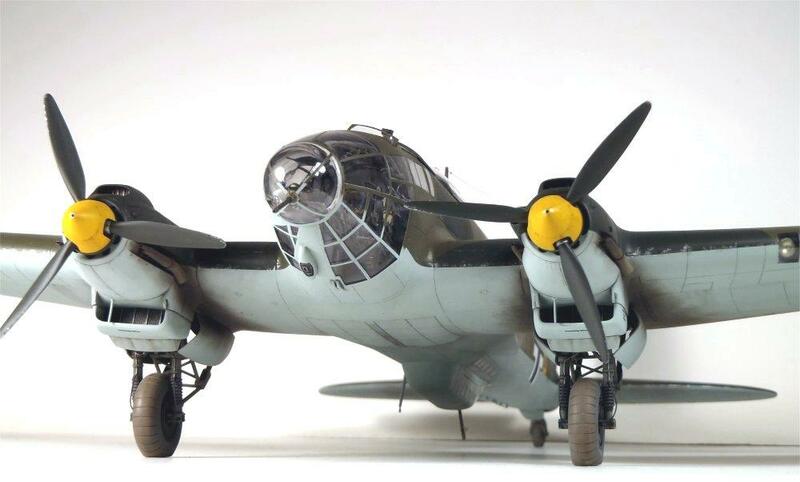 Its spot on to what I think the operational Heinkel would look like, Fantastic! And I hope you don’t mind if i keep that pic of the interior scratch work you did as a future reference. Very nice scratchbuilding on the interior! Well done Colin. I’m pleased to see the extra details you added. 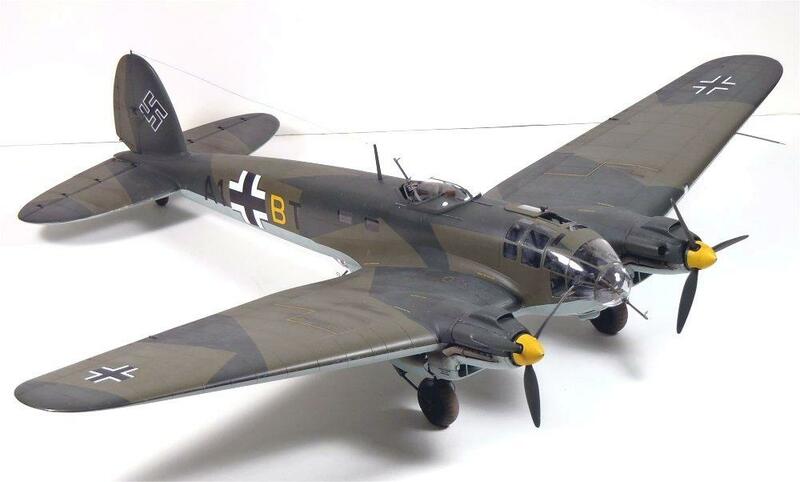 Your He-111 looks magnificent. I can only hope that mine will look half as good ………………. Well done my friend. Having a photo of the original plane is a very nice touch !!! 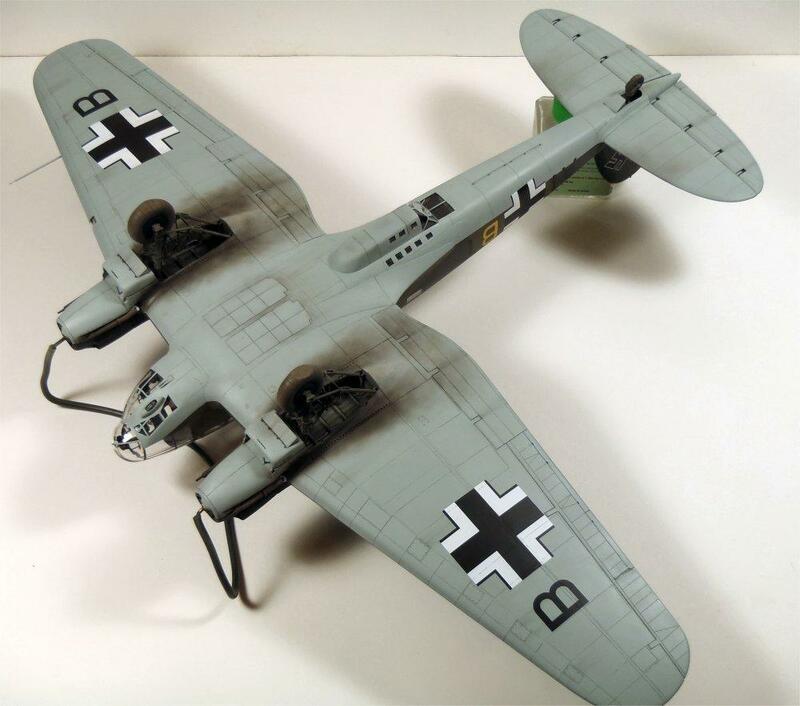 A beautifully done iteration of what was in real life an ugly airplane. 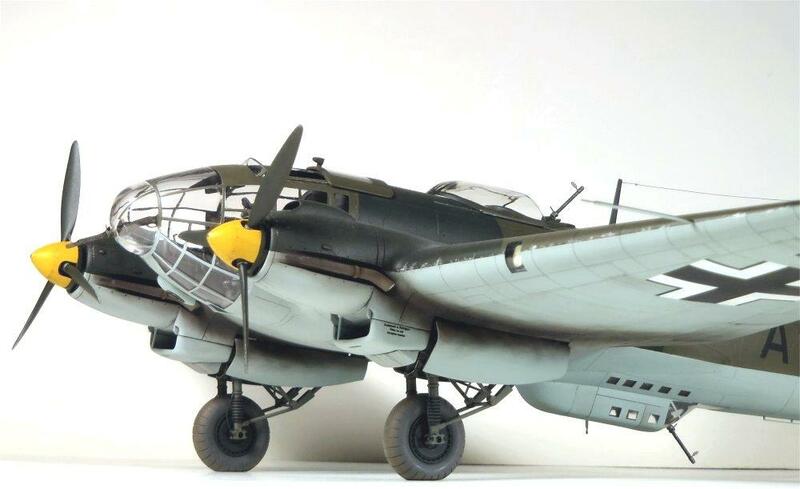 Heinkel 111s look like apocalyptic bugs coming to rain death. It must’ve given the RAF pilots great satisfaction to shoot them down. It most certainly did, and that is why Britain looks the way it does today. In fact that is why continental Europe looks the way it does. 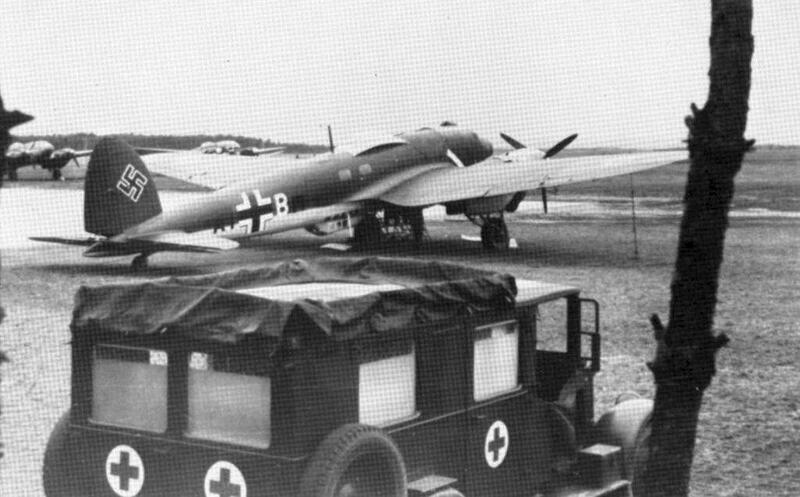 That is an amazing He-111. Seems like it is about to take off from the page when i first viewed. accept lacking aircrew, you think it was about to be powered up. This kit still holds its own compared to the newer offerings. 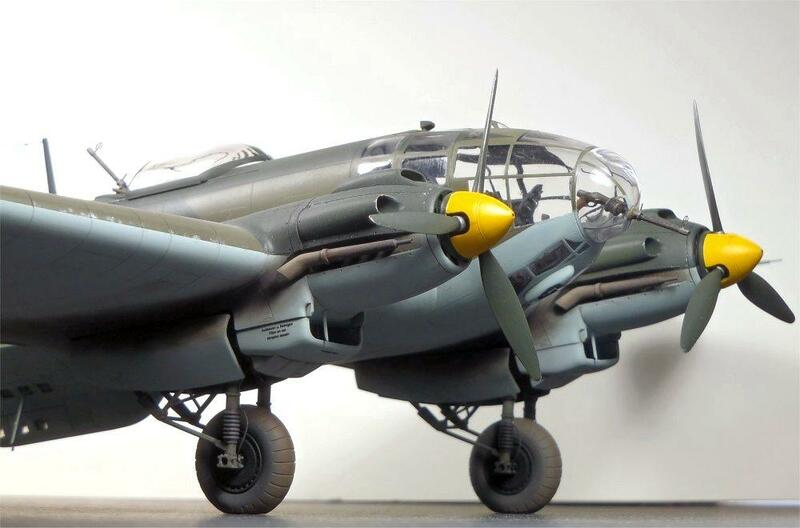 Very nice well done Heinkel. Thanks for sharing. WOW that is a beautiful build. Perfect paint job, just right. I really love the work you did with making the interior better. It is a shame you cannot see all of it but I guess thats why these pictures come in handy. It’s funny but most German stuff from this era is ugly looking with no finesse but the He111 had an art deco feel similar to the B17 , this is as nice a rendition as I’ve seen well done Colin. Very nice work here and a really nice result. 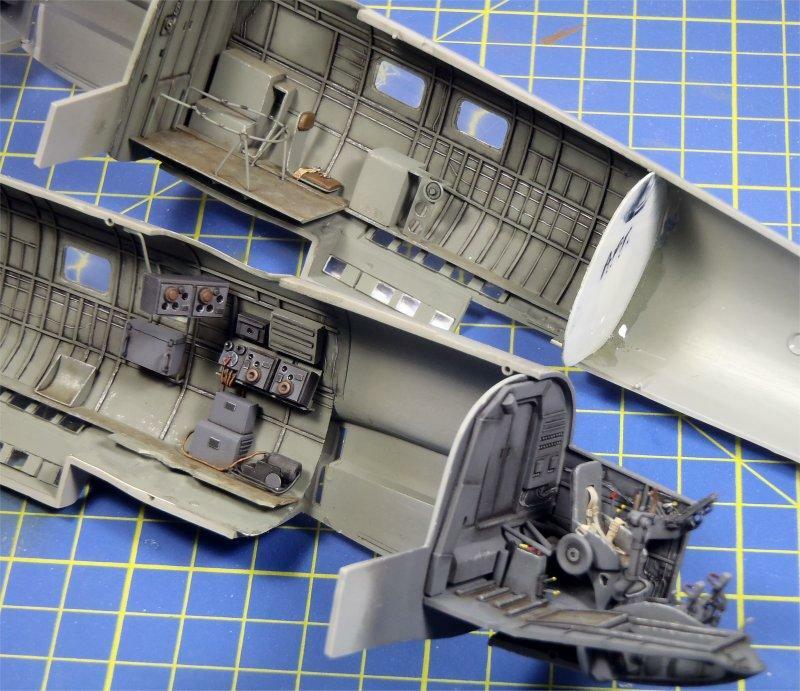 Cleaver’s comments work for me, however glad you’ve got photos of the unseen……for the world to appreciate the extra miles you went…..for the pleasure of the hobby. Alot of secret inside, and perfect finish outside. Actually, a lot of the interior is visible through the dorsal gunners station or the side windows, you just need a flashlight. I definitely over did it, though, because I wasn’t sure how much would be seen. Also, thanks for the kind comments, everyone. 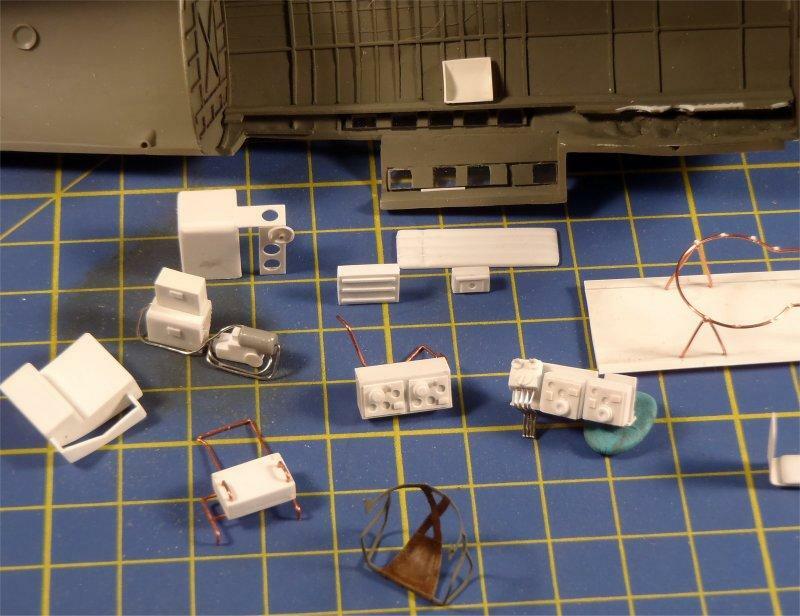 I think it’s very sad what is happening with Hobbico/Revell/Monogram as they OWNED the modelling industry when I was growing up, and set standards that other companies still try to beat. 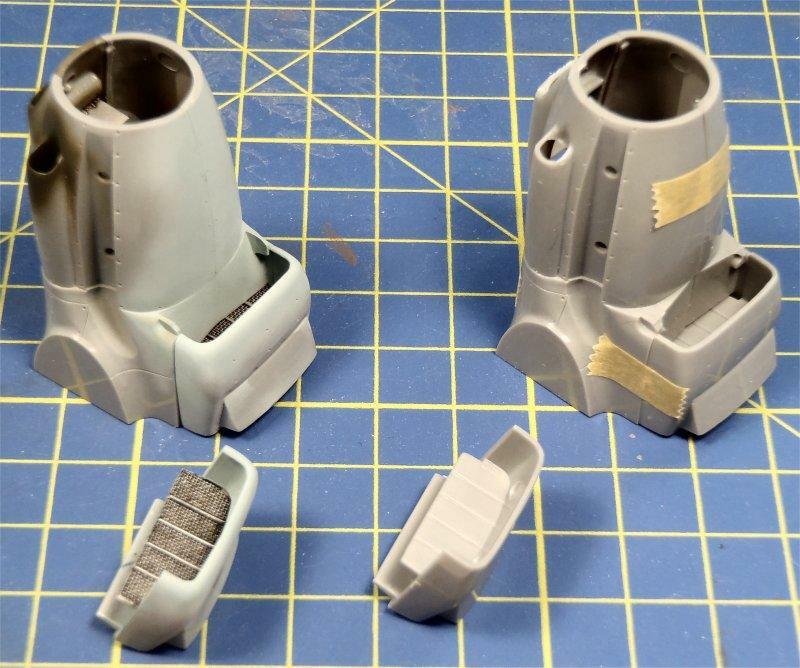 This begs the question, what happened to Hobbico/Revell/Monogram? G, there was an auction, and the various components were purchased by other entities. 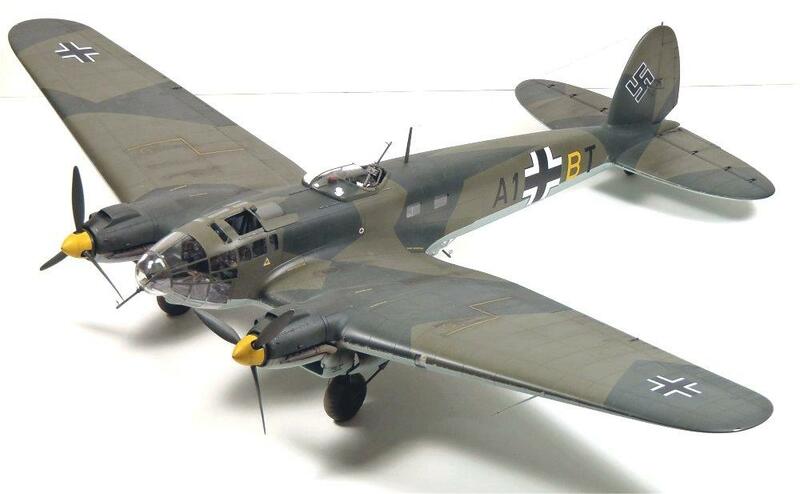 Revell/Revell Germany were bid, but the prospective purchasers remain anonymous. There was a couple of posts on that Other site. That is the gist of it. That’s a beauty Colin! I also sometimes get caught between “will you be able to see it” and “well, at least I’ll know it’s there!” I figure if I overdo it, at least I had fun attempting the representation of the detail, and increased my skills. I love you touch on the weathering – looks just rugged enough to be realistic without overdoing it. Well done. Colin, lovely interior. Restrained but effective weathering, nice effect around the bomb bay, and the engines. Looks the part! 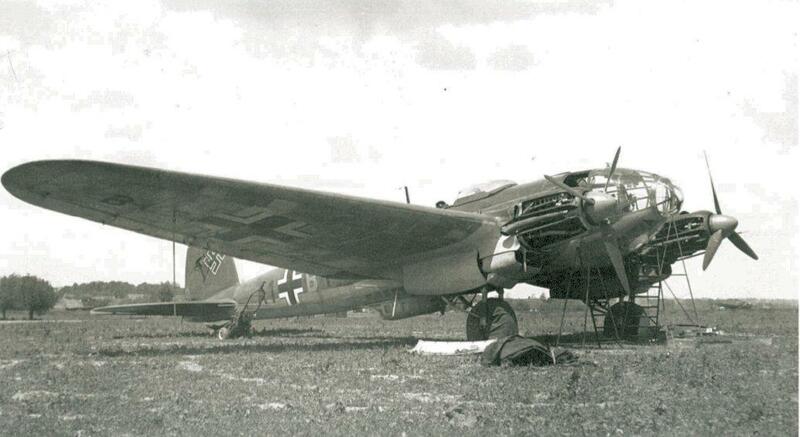 I get the impression that German aircraft seem to be designed to look menacing. 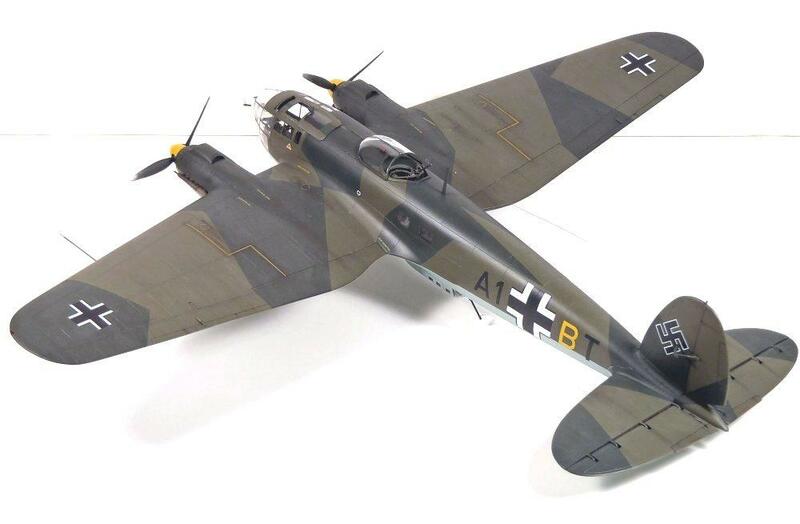 Like the pterodactyl Stuka. Their twins cluster the crew together, up front.